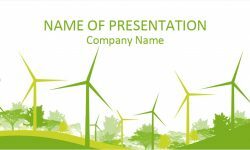 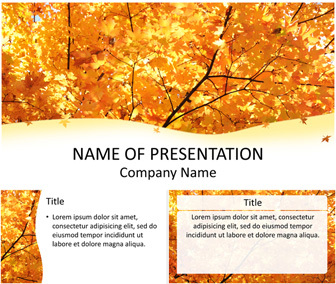 Present your ideas with this maple leaves PowerPoint templates. 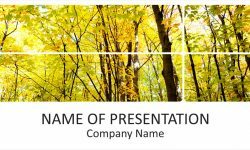 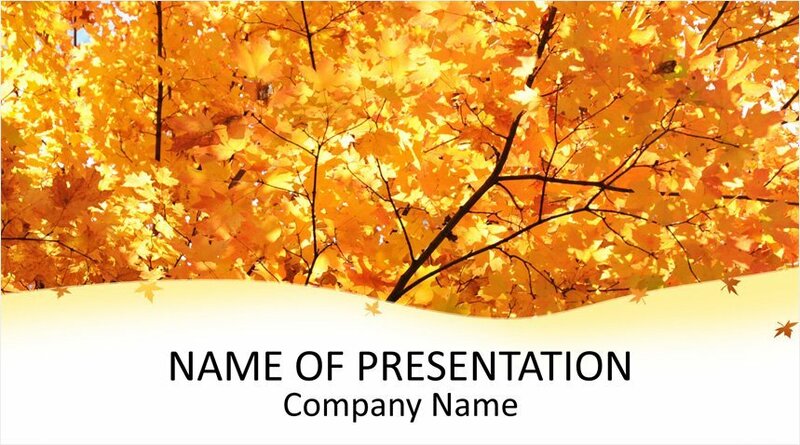 The title slide features a stunning picture of an autumn maple with orange leaves. 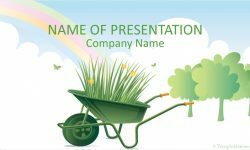 You have plenty of space to add your message at the bottom of the slide. 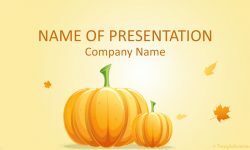 Use this template for presentation on fall, season changes, etc.